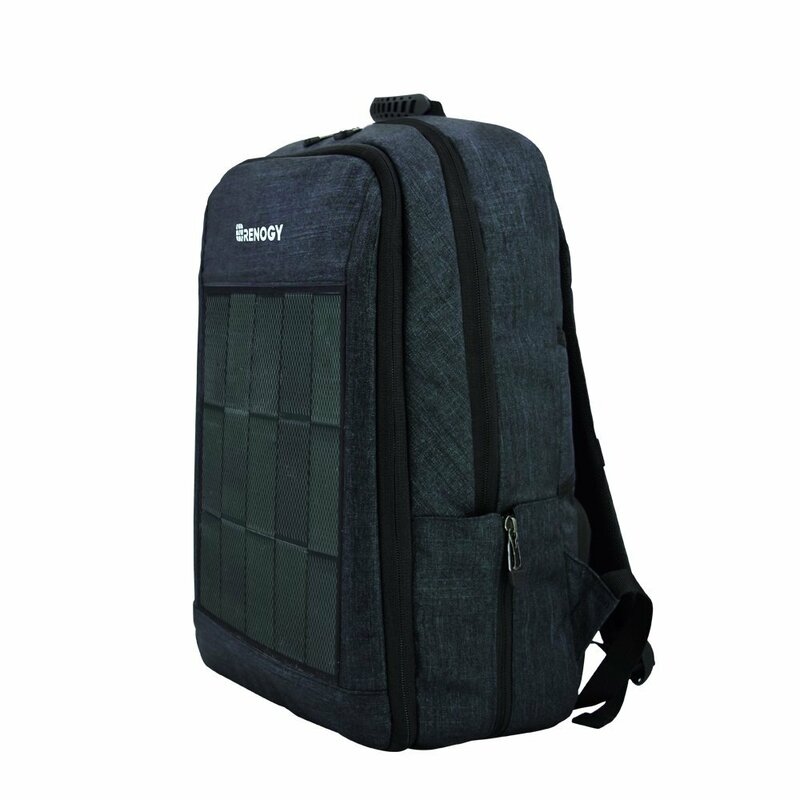 The Renogy Solar Backpack is a handy companion to have around, capable of keeping your smaller electronics charged with its integrated 5.6-watt solar panel and 5V USB charging port. Composed of sturdy polyester fabric, a water-resistant solar panel, and designed with multiple compartments, this reliable pack has your back. This lightweight backpack can hold and charge your essential electronics with its integrated solar panel. Under full sunlight, a smartphone will charge in about 2.5 hours. For the best results, be sure to position the backpack so that the solar panel is facing the sun. The solar power backpacking gear features numerous compartments such as an interior pocket that can hold a tablet or laptop (up to 16") and outer pockets ideal for storing a passport, wallet, snack, or books. The main compartment in the front includes organizational slots designed for a phone, charging cable, keys, and pens. Water-resistant and designed for the harshest conditions, the integrated solar panel can also withstand shocks, drops, and minor punctures. Note: This Backpack does not include battery storage or a power bank.